I will be a facilitator and mentor at this 2-day intensive at Cornell NYC, May 7-8. Join us! 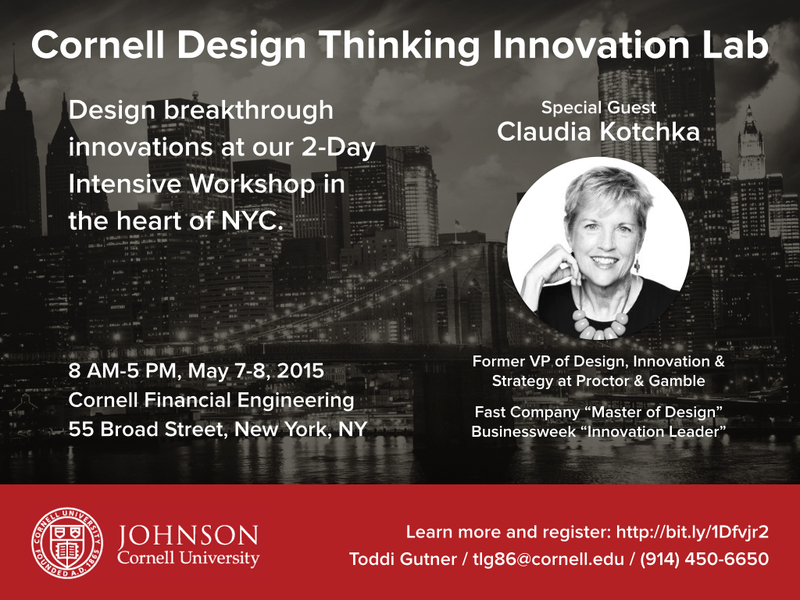 Learn to be a Design Thinker at Cornell. Design Thinking, is the practice pioneered by top innovation firm IDEO, taught at Stanford University and used by some of the worlds’ most innovative companies. Cornell Executive Business Education has built upon this design and added an increased element of applicability to your everyday business life as well as an element of how do you lead innovation back on the job which is vital in the current market.